Token to indicate when a miniature lost his will to fight or is fleeing the battlefield. 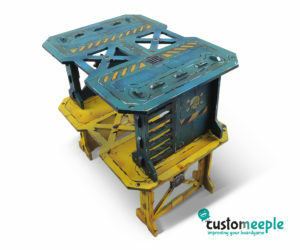 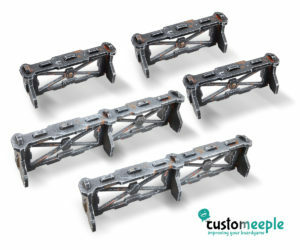 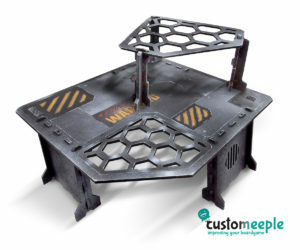 Our Battle Hive products provide a variety of pieces for your games of industrial or futuristic warfare. 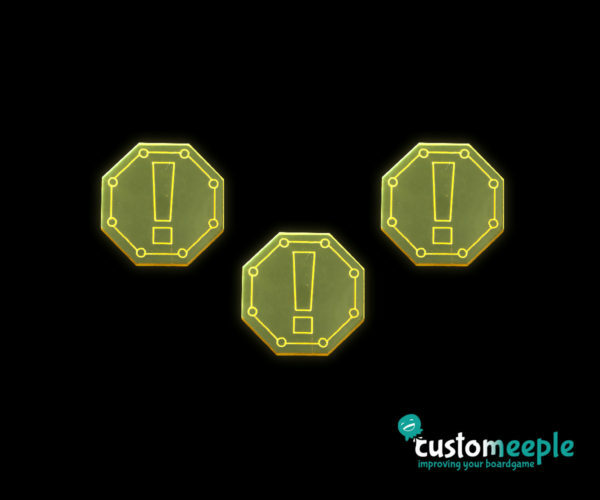 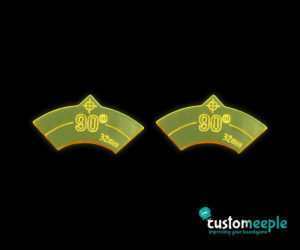 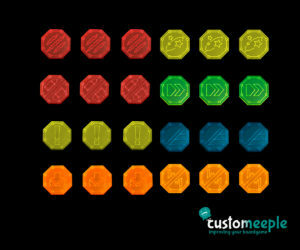 Its generic industrial iconography can help to mark and represent many situations in any game.